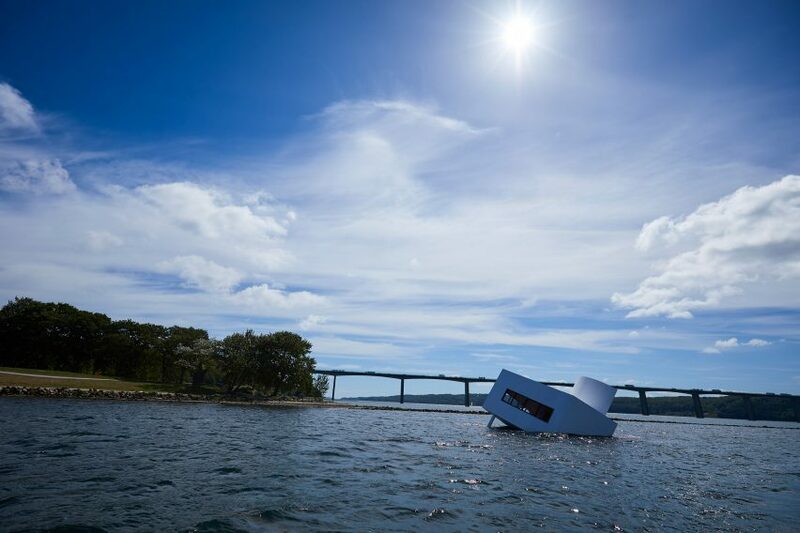 Asmund Havsteen-Mikkelsen has sunk a scale model of one of Le Corbusier’s most famous buildings in a Danish fjord, as a statement about the Brexit vote and Donald Trump’s election. 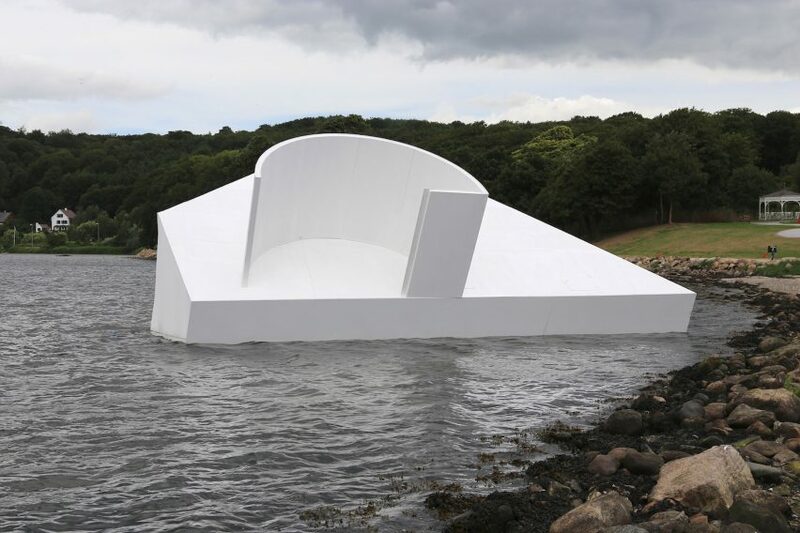 Havsteen-Mikkelsen’s sculpture is a 1:1 replica of a corner of Le Corbusier’s Villa Savoye that appears partially submerged – as if the building is sinking beneath the water. Several recent elections have been plagued by scandals, with digital manipulation from third parties appearing to influence the election of Trump in America and Britain’s vote to leave the European Union. 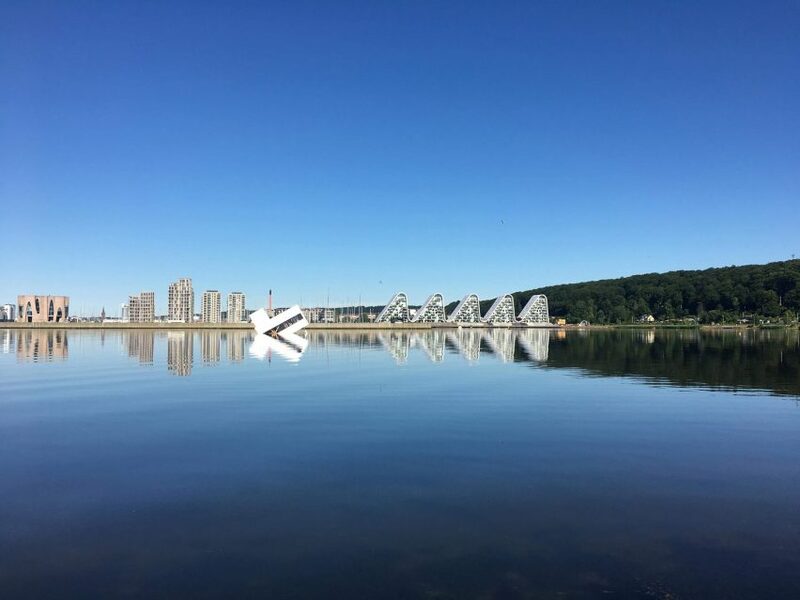 “The rise of new digital technologies together with the smartphone has allowed the emergence of a new situation,” Havsteen-Mikkelsen told Dezeen. “I think the Russians and Cambridge Analytica have been cunning enough to see the potentials of psychometric profiles to influence and manipulate voters via the internet,” said the artist. 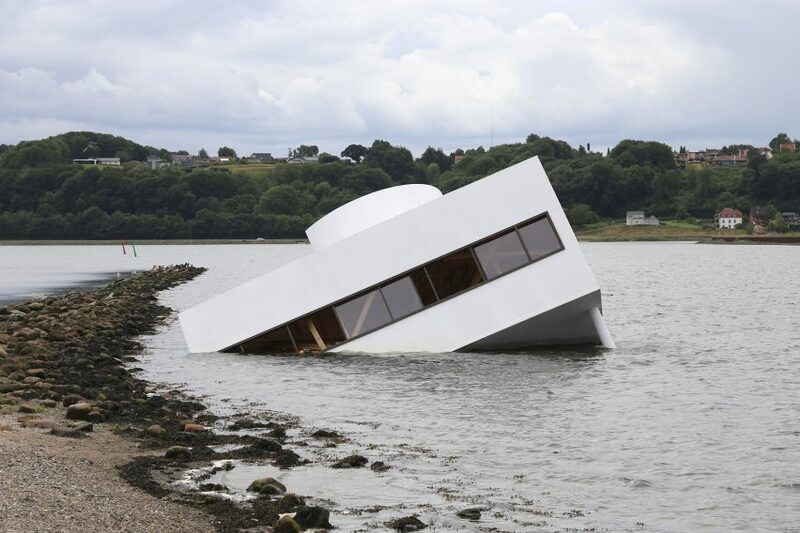 For Havsteen-Mikkelsen, who has been painting and sketching the Villa Savoye for a decade, Le Corbusier’s masterpiece embodies the essential values of modernism. “It encapsulated a sense and use of critical reason as a way of creating a better world,” he explained. 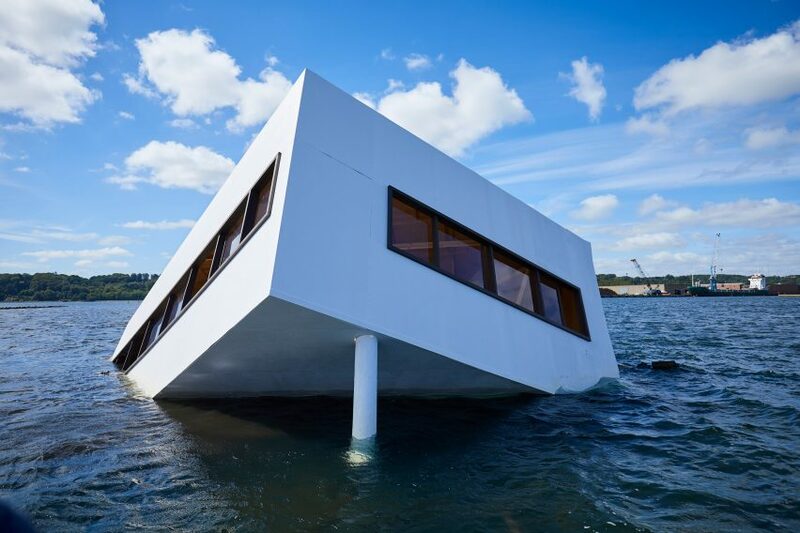 “The foundation of modernity has been seriously challenged,” Havsteen-Mikkelsen said. In London a group of activists flew a giant balloon shaped like Trump as a nappy-wearing, phone-clutching baby near the Houses of Parliament in protest against the US President’s visit to the UK.